Sales teams want to win together. This is hard to do when a critical part of a sequence, the call or meeting, remains a black box inaccessible to both managers and teammates. 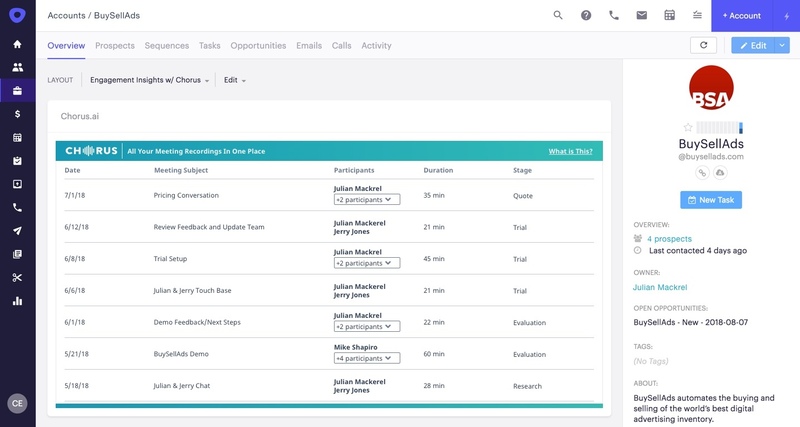 The Chorus.ai + Outreach native integration is the easiest, simplest way to get visibility into every call or meeting with a prospect or customer and build a collaborative, always learning, coaching culture across the sales team. Identify key moments on SDR/BDR calls such as scheduling a meeting or next steps, discussing budget, discussing pain or a need, etc.